The large majority of heart attack cases that we see litigated involve a failure to diagnose developing coronary artery disease and, to a lesser extent, the failure to treat it. To help provide a better understanding of these issues I’ll provide an overview of heart attacks and coronary artery disease, the reasons for and risks of misdiagnosis, and the most common types of treatment that are available when a timely diagnosis is made. Even though blood is pumping constantly through the internal chambers of the heart, separate vessels called coronary arteries run along the surface of the heart and supply the blood to the actual muscles that make up this vital organ. A constant flow of oxygenated blood through these coronary arteries is essential if the heart is to continue working properly. 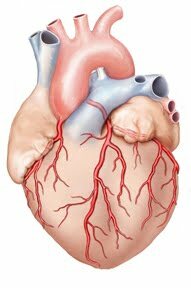 If blood flow through one or more of these vessels is significantly slowed or blocked completely the heart muscle will struggle and eventually die, a condition called myocardial infarction (localized heart muscle death). This blockage of blood flow is most commonly caused by coronary artery disease, although other events such as emboli (blood clots) vegetative growths or even trauma can block these vessels. Coronary artery disease is a condition in which plaque (plak) builds up inside the coronary arteries. Plaque is made up of fat, cholesterol (ko-LES-ter-ol), calcium, and other substances found in the blood. When plaque builds up in the arteries, the condition is called atherosclerosis (ATH-er-o-skler-O-sis). This is generally a prolonged process that develops over time causing angina (an-JI-nuh) prior to a heart attack. Angina is chest pain or discomfort that occurs when not enough oxygen-rich blood is flowing to an area of heart muscle. Angina may feel like pressure or squeezing in the chest, or may occur in the shoulders, arms, neck, jaw, or back. Because the formation of coronary artery disease is prolonged and is often heralded by angina pain, litigation often arises when a patient seeks treatment for typical pain complaints but is misdiagnosed when possible links to heart disease are overlooked. Pain is a common complaint and a treating physician may initially suspect that the symptoms are linked to muscle soreness or joint strain in the affected regions including the shoulder and spine. In such cases, specific tests for heart problems may not even be considered much less performed by the physician. This delay may prove disastrous if the blockages of the coronary arteries worsen and lead ultimately to a myocardial infarction. If detected in time, there are several alternatives for the treatment of coronary artery disease. First, medication may be considered. These medications could include blood thinners to help the blood pass more freely through an area of partial blockage, or clot-buster medications to prevent or break up blood clots that may be contributing to the blockage of blood flow. Blood pressure and cholesterol control medications may also be given to provide more long-term treatment of coronary artery disease. In addition to medications, there are a variety of surgical options that are also available for the treatment of coronary blockage. These consist mainly of angioplasty and surgical coronary artery bypass. Angioplasty is the treatment of an arterial blockage from the inside of the vessel. A catheter is inserted into an artery in the groin and advanced up through the aorta to gain access to the root of the coronary arteries. Through this catheter an inflatable balloon can be inserted into the area of blockage and expanded to push open a larger channel for the blood to flow. A stent (wire mesh tube) may also be placed into this site to hold the vessel open permanently. Coronary artery bypass involves the placement of a graft from above the site of blockage to below the site to allow blood flow to detour around the blockage. These grafts may be synthetic tubes or vessels harvested from the patients chest or leg. The mammary artery from the chest wall or the greater saphenous vein from the leg are both commonly used for this purpose.